Black calligraphy brushed loosely onto brown paper with artist's stamp. 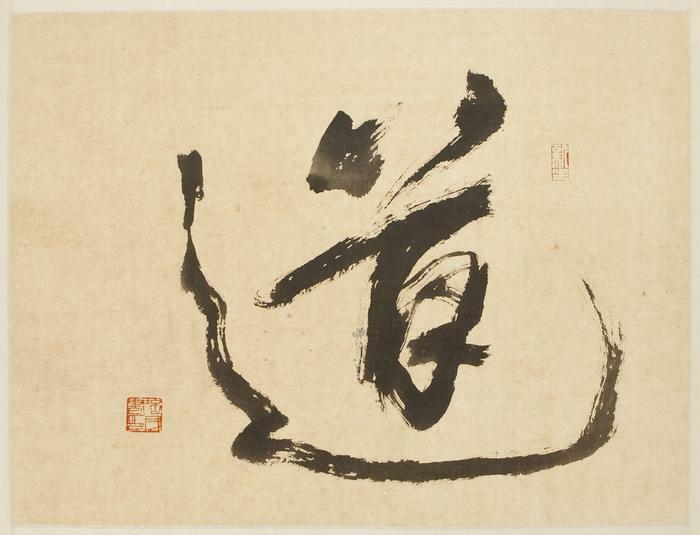 Piemin Ni is a Chinese calligraphist, philosopher, author and professor at Grand Valley State University. An accomplished calligraphy artist, Ni has exhibited his works at GVSU and the Dennos museum center in Traverse city, Mi. He has published several books on various philosophers and has produced a television program on the art of Chinese calligraphy.